Just like almost everyone else come January, thoughts of losing weight and getting healthy cross my mind. This year, though, instead of reaching for the nearest fad diet, or restarting Weight Watchers (again!) 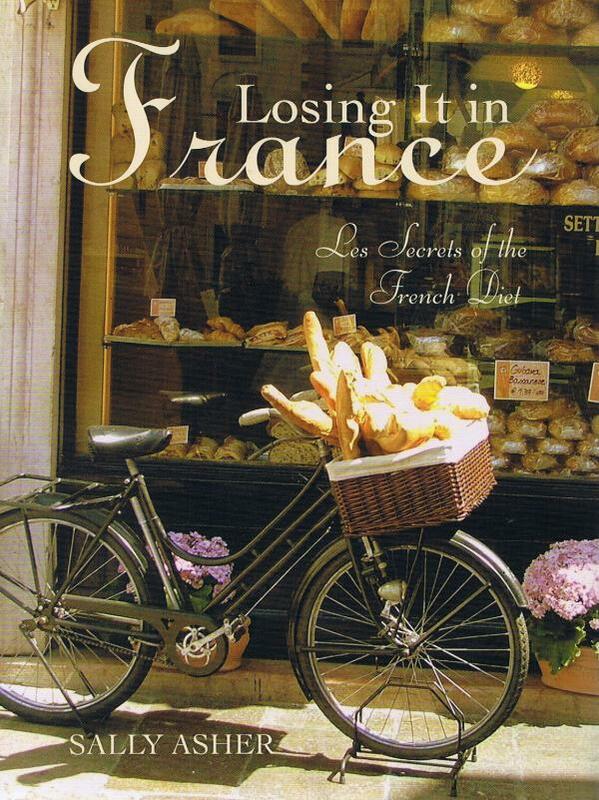 I decided to pick up a book I had heard a lot about, Losing It In France: Les Secrets of the French Diet, by fellow Australian, Sally Asher. As much as this book has “diet” in the title, it most definitely is not a “diet” book in the usual way, but more a “lifestyle” book combined with a memoir of Sally’s time in France and how learning to eat and live while immersed in a French lifestyle helped her lose weight and keep it off even when she came home. Of course, like any book talking about diet and lifestyle, a lot of it is common sense – eat less, move more, pick better options. However, what made this book different for me was that somehow, it truly, deeply, resonated with me. Since I read the book in January (and I continue to re-read sections of it at least weekly, it is that inspirational!) I have not only lost 5.5kg (12lbs) but, more importantly, feel a lot, lot better. If you are a long-term reader of my blog, then you know that I have battled with my weight for a long, long time. This time is different. Yes, the weight is coming off slower than it has with diets in the past, but this time it feels like it will be permanent. It really is a lifestyle change. Sally focuses on small changes that all add up to make a big difference. She looks at the reasons we overeat and eat badly, and she gives you ways to change these bad habits for good ones. She devotes pages to recipes that can be made by anyone, quickly and easily. This really is an amazing little book that has certainly changed my life for the better. And as if this book is not enough on its own, Sally has an amazing blog where she shares even more amazing information! I am totally a visual learner, so her posts on portion size (breakfast, lunch and dinner) were a real eye-opener for me. I originally bought this book in hardcover (and it now has a permanent home in my nightstand drawer) but I love it so much, and refer to it so often, that I bought the kindle version for my iPad as well! So that is telling you how much I love it! !